Does EV SSL Increase Sales? Not all SSLs are created equal. Comodo Essential SSL certificates here at HostDime range between $30 and $150 a year, while the top-end EV SSL certificates are a higher investment at $300 a year. What are EV SSL’s and do they increase sales enough to justify the investment? Let’s dive in and go over some numbers to see if the cost is worth it for your enterprise. EV stands for Extended Validation and these certs are suited for businesses that require extra assurance and validation to potential customers. EV is the highest level of trust that an SSL has to offer, and is ideal for e-commerce sites and large businesses where financial and data transactions are necessary. What you get with EV that you don’t get with other SSL types is the coveted green bar in the browser. When you’re on at a website secured with an EV SSL, instead of seeing just the padlock in the browser, you’ll see the entire organization name highlighted in green to the left of the domain name. The CA Security Council is a group of leading certificate authorities and they recently surveyed 670 U.S. consumers to gauge how security savvy they really are, and how much they trust the e-commerce infrastructure. OK so its likely your potential customer recognizes the high level of encryption on your site. Does this translate to increased sales? Here’s some examples. Fitness Footware, the largest independent footwear retailer in the UK, saw a conversion increase of 16.9% and a cart abandonment drop of 13.3% among site visitors who saw a green EV bar, over those who did not (source). Similarly, furniture company Dwell.co.uk and music download site VirtualSheetMusic.com both saw a 13%+ improvement in conversion rates. The power of the green bar is genuine; EV should pay for itself over time. One last thing to take into consideration. If you are in a crowded industry with many companies popping up and then disappearing, the green EV bar shows to your clients that you are here to stay and sticking around for the long haul. This can build trust for companies right at their onset and show your customers that you are putting in the effort of creating a genuine business that won’t be gone tomorrow. 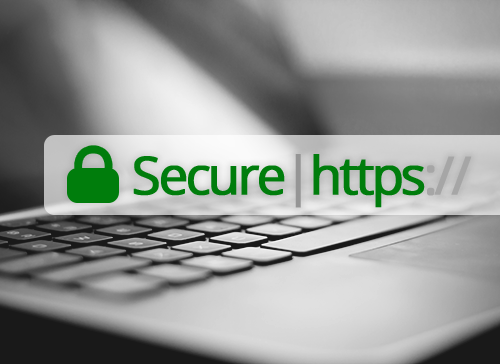 HostDime.com, Inc. has a SSL Certificate partnership with security solutions provider Comodo. EV Comodo certificates feature a free Dynamic TrustLogo with unique ‘point-to-verify’ technology. Your business credentials and certificate warranty level are streamed direct from HostDime’s authentication database. Upon purchase, installation is a breeze. Here’s how to install an SSL for your hostname via WHM. For any more SSL questions we did not touch on, don’t hesitate to contact HostDime’s sales team who are ready to help anytime. Jared Smith is HostDime’s Content and SEO Strategist.